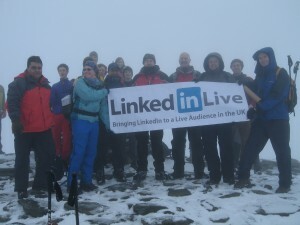 Leading Change in the Mountains (LCITM), is a two day practical event that teaches how to lead organisational change in the mountain ranges of the UK and Ireland. The objective of LCITM is to take a group of people (usually a leadership team/change or project team) into the mountains with the sole purpose of getting them to work better as a team in terms of communication, alignment and achievement of a common goal. Success of this activity is dependent not only on the process, but also on the combined efforts and the willingness of the individuals to work as a team. LCITM is broadly based on John Kotters 8 Steps of Change. 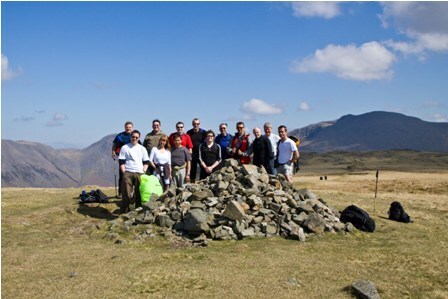 CapableCore have adapted the process for the mountains as a mountain walk is very similar to a change program, both have objective, ups and downs, the need for communication and team alignment and sometimes the path is not always clear and the conditions variable. Please contact us for a full program breakdown & pricing details. The Team arrives at the chosen location in the afternoon/evening of Day 1. After introductions the team leader gives a brief overview of the walk, including goals, objectives, operating procedures and known risks. If the location and conditions allow, we take a 1 hour walk to visually see the route from an adjacent ridge, this allows the team to visually see the summit and the route forward. We then have a team dinner together so all parties can get to know each other better. We meet for breakfast at 8am, the team leader advices on the exact walking kit based on the current conditions, a standard kit list is provided in the weeks before. The team departs to get prepared at 8:30am for a 9:00am departure. Whist walking, the Team Leader is constantly communicating with the team to ensure that they are on track and no aches/pains or health issues are coming to light, it is important that the walker profile is completed and returned prior to the walk, so we can take into account any potentially troublesome health conditions. Whilst walking we follow the program guidelines whilst ensuring everyone is enjoying the walk. Depending on the conditions and fitness of the group we have regular stops to take on water and food. We encourage everyone to bring a camera to record the scenery and take team pictures. These pictures provide great metaphor examples when back in the workplace. At the end of the walk it is usual to stop at a pub to have a drink to wind down and discuss the walk and what was achieved together. We then head back to the hotel to freshen up before meeting for dinner.